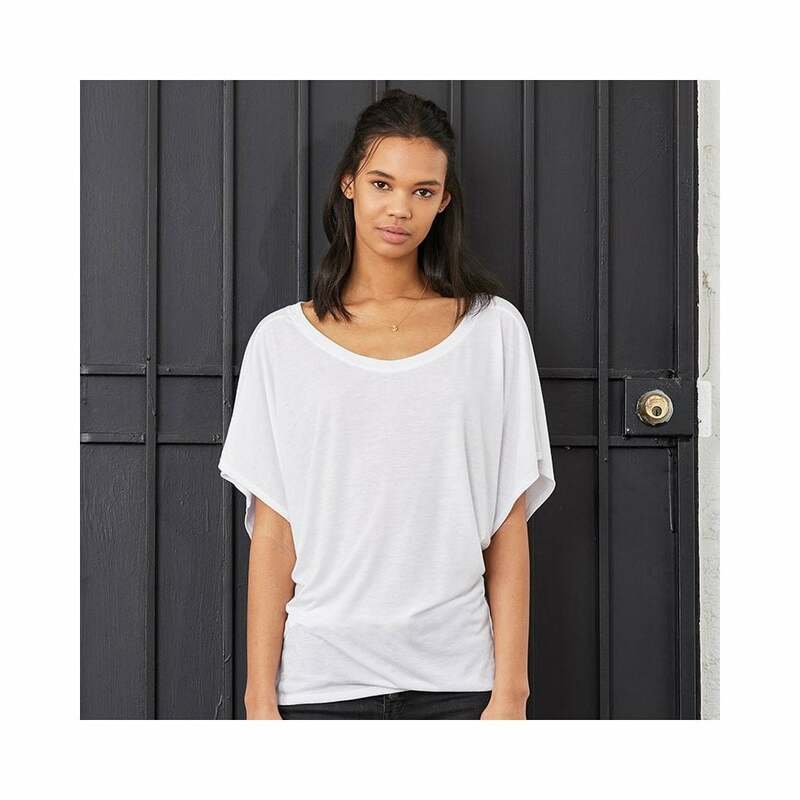 Bella + Canvas Flowy Draped Sleeve Dolman Tee this is a highly fashionable comfortable draped sleeve t shirt, which can be dressed up or down. It is made from 65% polyester and 35% viscose and is fitted at the hips but is looser round the middle. It is available in 6 colours, pebble brown being very popular. Sizes start at small and go up to extra-large.